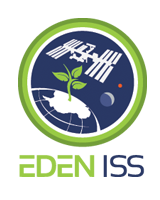 The EDEN ISS team is pleased to announce that University of Florida has become an associate partner in the EDEN ISS project. The University of Florida team will contribute their expertise and technology associated with imaging technologies that were developed for ISS and suborbital applications, along with spaceflight plant growth and imaging expertise. Multi wavelength imagers will be deployed into the Mobile Test Facility to provide early health status information of the crops and used as a tool for remote monitoring of the Antarctic facility. The University of Florida team, led by Dr. Robert Ferl and Dr. Anna-Lisa Paul is already taking an active role in the project via the testing of spectral imaging hardware in Florida, but also in collaboration with EDEN ISS project partners at Wageningen University. Imagers are planned for deployment in both the Future Exploration Greenhouse and in the ISPR demonstrator and further testing of the developed imaging systems will occur during the assembly, integration and test phase in Bremen, Germany and during the Antarctic operations phase.